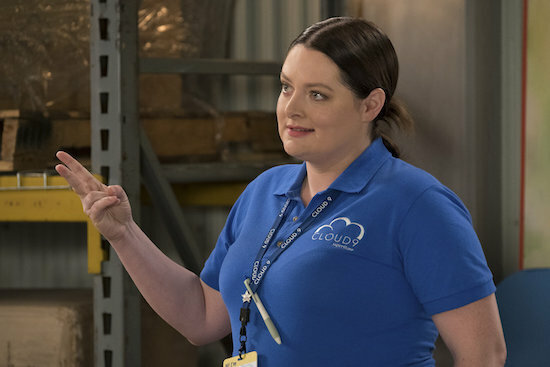 SUPERSTORE’s Dina (Lauren Ash) had an incredible arc in 2018, as she went from Glenn’s (Mark McKinney) professional foe to his surrogate. Naturally, Dina evolved on-screen as she went through the process. But what Ash didn’t expect was the reaction she had while filming “Delivery Day,” the episode where her character gave birth. 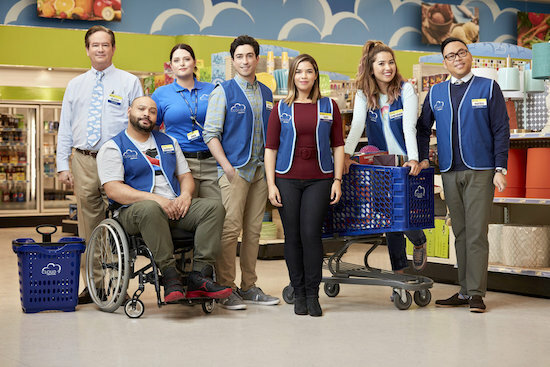 SUPERSTORE has tackled all kinds of real-world issues (ranging from undocumented immigrantion to the complexity of workers’ rights), but one of the quieter statements the show has made may be flying slightly under the radar. 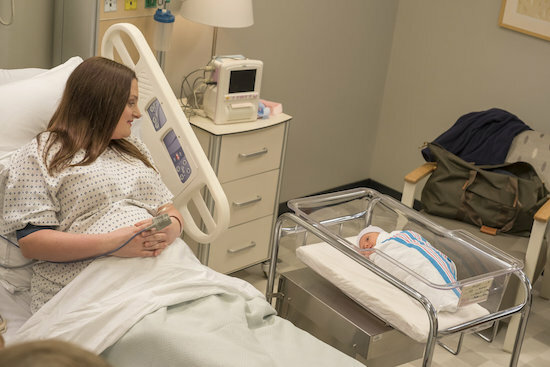 SUPERSTORE is juggling two very different pregnancies in its fourth season: Dina (Lauren Ash), who is a surrogate for Glenn (Mark McKinney) and Jerusha (Kerri Kenney); Amy (America Ferrera), meanwhile, is pregnant by her ex-husband…while secretly in the midst of a new relationship with Jonah (Ben Feldman). Thursday’s episode find the NBC comedy hosting a double baby shower for the expectant mothers—complete with the cliche games—while Dina is tasked with participating in a pregnancy photo shoot. 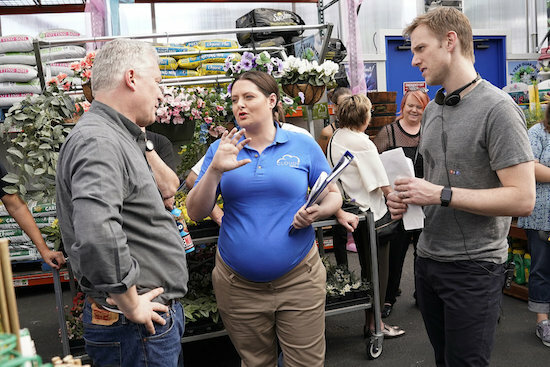 Ash—whose Dina was at the center of the episode’s botched gender reveal—looks back at penning her first episode for SUPERSTORE, and how her own background as a writer/improv performer assisted the process. 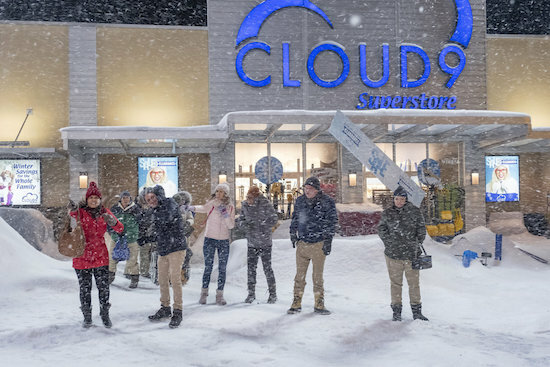 Attention, Cloud 9 shoppers (um, viewers): Thursday’s SUPERSTORE finale is nearly here, and major things are going down. 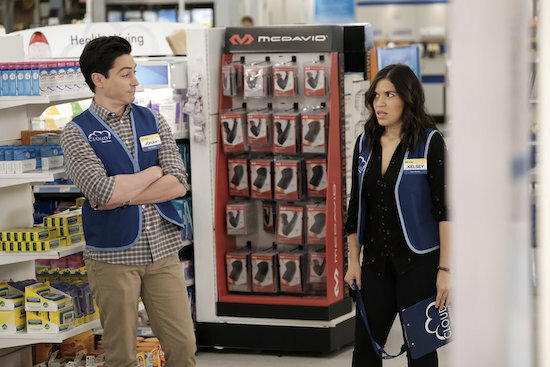 SUPERSTORE, one of the best comedies currently on television, threw grenades into multiple relationships in last week’s episode. 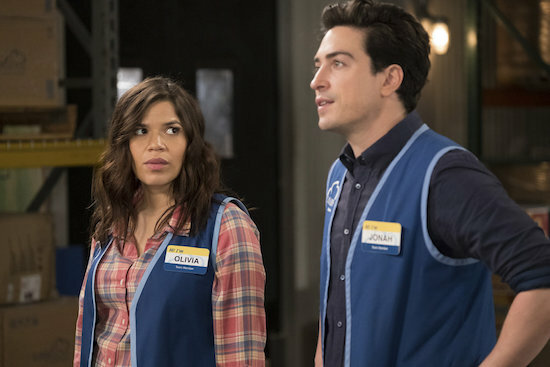 In “Safety Training,” Amy’s (America Ferrera) attempt to befriend Kelly (Kelly Stables)—AKA Jonah’s (Ben Feldman) new girlfriend—backfired when she took credit for Kelly improperly hanging signs and was forced into safety training. To get Amy out of it, Dina (Lauren Ash) planned on playing footage of Kelly’s work mistake…and instead played a mishmash of footage which included Amy and Jonah’s kiss during last season’s tornado. Meanwhile, Mateo (Nico Santos) was injured by a falling sign, which helped out. After he kept turning down corporate’s offer for injury compensation, finally Jeff (Michael Bunin), his ex/the store’s distract manager, insisted on giving him money. But Mateo finally admitted he was undocumented and his inability to share that with Jeff was the real reason they broke up.